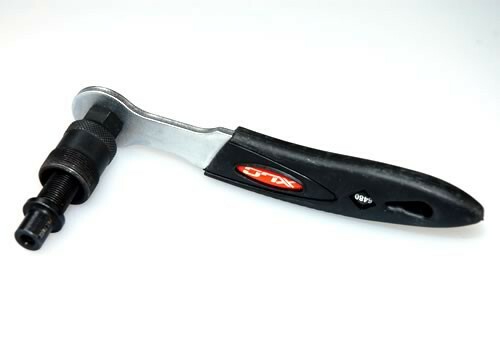 XLC Crank Puller with handle. Dismantle the pedal crank of your electric bike. You need this tool to dismantle the pedal crank of your electric bike. This can be necessary if you need access to the engine if you want to install certain tuning tools. If you use this device with its suitable holder you can remove pedal cranks very easy without damaging them. The XLC Crank Puller is compatible with all common bottom brackets (ISIS, Vierkant, Octalink).